Dharamshala is a hill station located at an average altitude of 1,475 meters above sea level and set against a backdrop of the majestic Dhauladhar mountain range in the upper reaches of the Kangra Valley. This beautiful town is home to the Dalai Lama and His presence and a sizable Tibetan community have made Dharamshala a popular destination for tourists from all over the world. This picturesque town surrounded by dense coniferous forests of Deodar and pine trees making it ideal for trekking in Dharamshala. 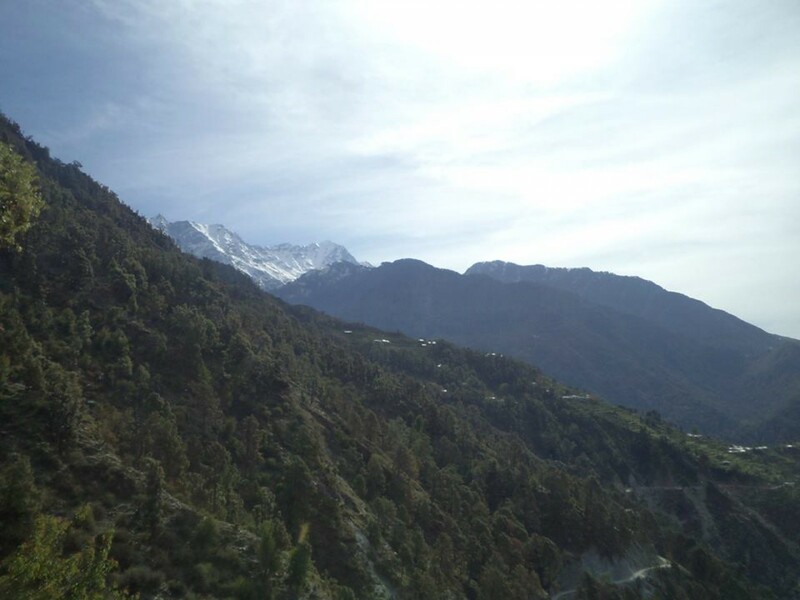 Trekking in Dharamshala is a treat for your senses as you visit temples and monasteries, witness the daily life of Himalayan shepherds, and spend a lot of time enjoying spectacular views. 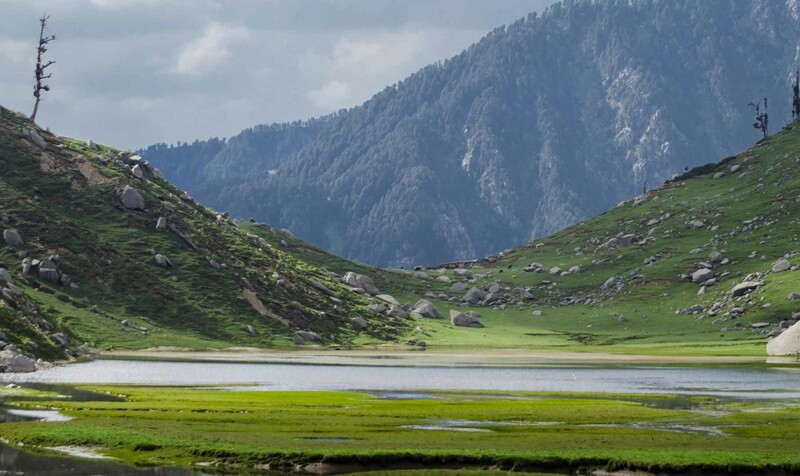 You will stop at some very scenic campsites along these treks, but the highlight is definitely the views of Mani Mahesh Kailash Peak, the Pir Panjal range and the Dhauladhar Mountains. One of the main attractions of Dharamshala is a grassy green hill called Triund hill. It is considered a jewel in the crown of Dharamshala, and Triund is a very popular picnic spot. It is a one-day, easy trek in Dharamshala and a perfect weekend getaway. The trail is rocky and cut in steps at some places. From Galu devi temple there is a little path which goes through dense rhododendron and oak and deodar forest to end at the Triund summit, rewarding you with absolutely breath-taking, 180-degree views of the mountains and the gorgeous Kangra valley. During your trek in Dharamshala, if you are lucky you can see the birds like Alpine Ancestors and wild animals like musk deer and black bear. 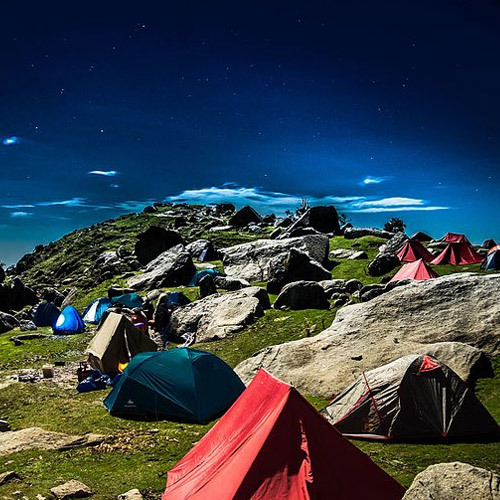 The Triund trek will take about four hours to complete and just the view of the evening sky from Triund is a good enough reason to pitch a tent here for the night. There are some great camping sites with beautiful views of the snow-capped Dhauladhar mountain range on treks in Dharamshala. Another beautiful trek in Dharamshala is the trek to Bir Billing. Bir Billing has an altitude of 2600m and is surrounded by beautiful tea gardens. It is also considered the best and most popular paragliding spot in India. Here you can do tandem paragliding, expedition paragliding and trans Himalayan paragliding flights throughout the year except during monsoons. 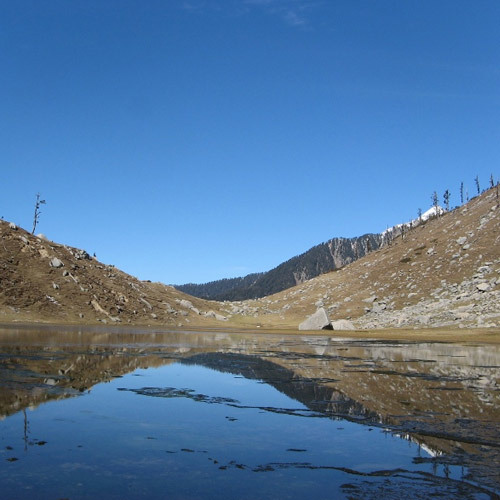 For the uninitiated there is the Kareri Lake trek which is one of the treks around Dharamshala. 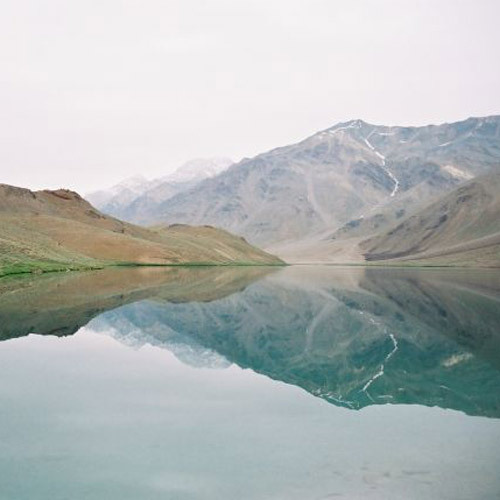 Situated at an altitude of 10,500 ft, Kareri Lake is fed by the melting snow from the Dhauladhar Mountains. It's a good trek in Dharamshala for fit beginners, because it is mostly easy, but has some steep sections. The trail takes you through alpine forests, over sparkling streams, and up to the lake, where you'll camp at the base of two passes, with views of mountains all around. The Indrahar Pass is a prime attraction for trekking in Dharamshala. At a towering height of 14,500 feet above sea level in the Dhauladhar range of the Himalayas, this pass offers panoramic views of the Pir Panjal range, Mani Mahesh, Kailash peak and the underlying Kangra valley. This is a moderately challenging trek and is perfect for newbies and people with past experience looking for a fun trek in the Himalayas. Dharamshala has pleasant weather conditions through the summer months and hence this is the best time for treks around Dharamshala. In this season the trails are dotted with flowers in full bloom and the countryside is lush with life. Come July and the region sees heavy rain up until September and trekking in Dharamshala becomes slightly tricky. Winters are severe in this region but the tourist crowds would be gone and you can enjoy the snowfall ion your treks in Dharamshala.